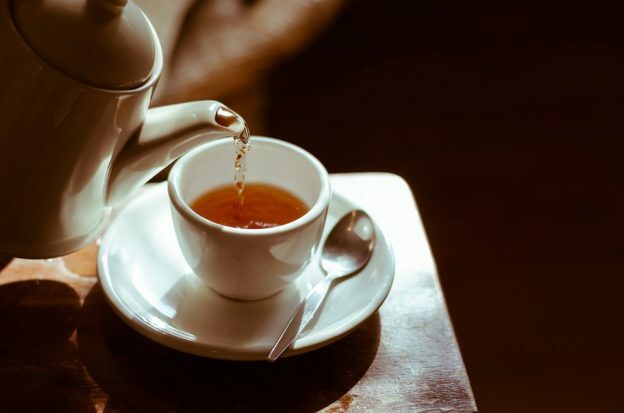 Although many people enjoy drinking coffee in the morning, tea is an excellent replacement that can either calm you or wake you up when you need that extra push. Basically, tea is a healthy and soothing substitute you can drink all throughout the day or evening, all while consuming less caffeine than coffee. First, tea is a lot easier to make than coffee. Oftentimes, making a cup of hot tea only requires boiling water, tea and a tea cup. When making coffee, you need to purchase a coffee machine to brew the coffee, and possibly grind the beans. If your mornings are usually busy, substitute a cup of java for hot tea! Tea and honey… need we say more? We all know that honey pairs exceptionally well with tea. Finest English Tea offers homemade, natural raw honey and creamed honey to satisfy your sweet cravings. Natural honey not only provides numerous health benefits, but is loaded with antioxidants. In addition, honey is a healthy “sweetener” for all hot and cold tea beverages alike. Tea is named one of the “necessities of life” in China. According to the “Seven Necessities of Life” by Sung Chinese people, tea is consumed on a daily basis and can’t be forgotten. From bold english teas and rich green teas to herbal peppermint teas and exotic African teas, there are a variety of tea types to choose from at Finest English Tea. Start browsing here! Drinking tea can relieve stress and anxiety. Drinking hot tea is well-known for calming stress and making you feel rested. Finest English Tea’s herbal range teas, such as Camomile Infusion 25’s, are caffeine-free teas to consume in the evening or before bedtime. Peppermint Infusion Tea is known to aid digestion, too. Hot tea could help with seasonal allergies. If you suffer from seasonal allergies every year, drinking hot tea could help improve your symptoms. When you start your day with a cup of hot tea, such as Rington’s Signature Green Jasmine Tea, your allergy symptoms could be slightly improved. Hot tea is excellent for soothing throat pain and healing stuffy noses or sinus infections, as well as control bacteria in the body. Some people believe that drinking tea is just as hydrating as water. Last year, the European Journal of Clinical Nutrition discovered that tea rehydrates the body just as much as water. In addition, because many types of tea contain antioxidants, such as green tea, there’s an extra bonus. Basically, tea replaces your fluids, as well as supplies your body with plentiful antioxidants, so it’s a win-win for you. Finest English Tea offers a variety of english tea, herbal tea, afternoon tea, and daytime tea to suit everyone’s tea cravings. Browse our diverse selection of teas and honeys at finestenglishtea.com, or call our toll-free line at 800.529-4954 if you have any questions. This entry was posted in Tea and tagged 6 Reasons Why You Should Drink Tea Everyday on 04/03/2018 by Andrew S..